On arrival at Delhi Airport / Railway Station , met our transporter and proceed towards the Famous hill Station of Himachal i.e Kasauli. Reach Kasuli and check into the hotel. 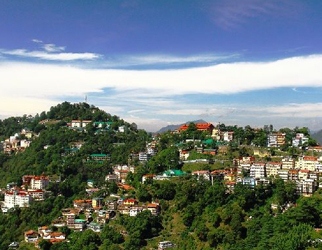 Kasauli is Famous for its silent but beautifull Surroundings. After fresh up visit Baptist Church ,Shri Baba Balak Nath Temple .You can enjoy the evening out there with your Partner rooming in the woods. Dinner and overnight stay in the hotel. .
Today after breakfast check out from the hotel & proceed towards the sightseeing of Kasauli. Visit Monkey Point , Hanuman Temple and nearby places. In the evening travel to Shimla and Check in to Hotel. Evening free for Leisure activity. Dinner and Overnight stay at Hotel. .
Today morning after breakfast have Manali local sightseeing covering Hadimba Devi Temple (tour visiting Hadimba Devi Temple is made by wooden temple is the located in middle of forest Van Vihar), Vashisht Village and Tibetan-Monastery. Later in the evening free to explore the Shopping Malls (Mall Road & IBEX Market) of Manali. 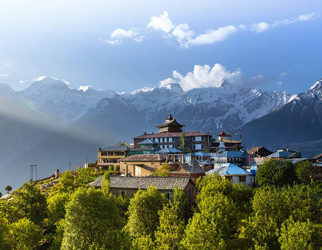 Dinner & Overnight stay at hotel. .
Today morning after breakfast have excursion trip to Solang Valley where you can admire the enchanting sights of the surroundings and can enjoy various thrilling adventure activities by own cost. As the winter approaches, the same Solang Valley takes a shape of a Snowy Blanket, thus forming a perfect vista for several snow activities. After enjoying the outing return to hotel for Overnight stay. .
After breakfast, check out of the hotel and drive to Delhi. Arrive Delhi and you are dropped at railway station/Airport .